Bringing research on collective memory together with research on episodic future thought, Szpunar and Szpunar (Mem Stud 9(4):376–389, 2016) have recently developed the concept of collective future thought. Individual memory and individual future thought are increasingly seen as two forms of individual mental time travel, and it is natural to see collective memory and collective future thought as forms of collective mental time travel. But how seriously should the notion of collective mental time travel be taken? This article argues that, while collective mental time travel is disanalogous in important respects to individual mental time travel, the concept of collective mental time travel nevertheless provides a useful means of organizing existing findings, while also suggesting promising directions for future research. Thanks to audiences at the University of Otago and the University of Grenoble. 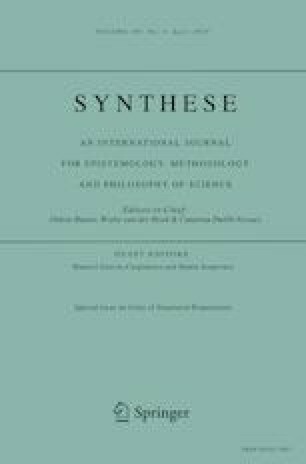 Thanks also to four anonymous reviewers for Synthese and to the editors of the special issue. Supported by Grant 16-UOO-016 to KM from the Marsden Fund, administered by the Royal Society of New Zealand.